An Amber Alert continues for a 12-year-old girl who is missing along with her grandmother, as Harrisonburg, Virginia, police release a timeline and more information about the case. WASHINGTON — Hours after the disappearance of two Virginia women, the car which had allegedly picked them up was found burning on Interstate 66. The Amber Alert issued for the Angie Carolina Rodriguez Rubio, 12, and her grandmother Elizabeth Rodriguez Rubio, 48, is still active, according to Mary Hope Vass, public information officer for the City of Harrisonburg, Virginia. “We are constantly getting new information and new leads and we are actively pursuing all of those and we certainly ask anyone in neighboring communities, anyone in the city of Harrisonburg to give us a call,” Vass told WTOP. In a detailed timeline released Thursday morning, police laid out events before and after their disappearance. On Aug. 5 at around 1:30 p.m., investigators say Angie and Elizabeth were last seen with suspect Hareton Jaime Rodriguez Sariol at a strip mall along South Main Street in Harrisonburg. 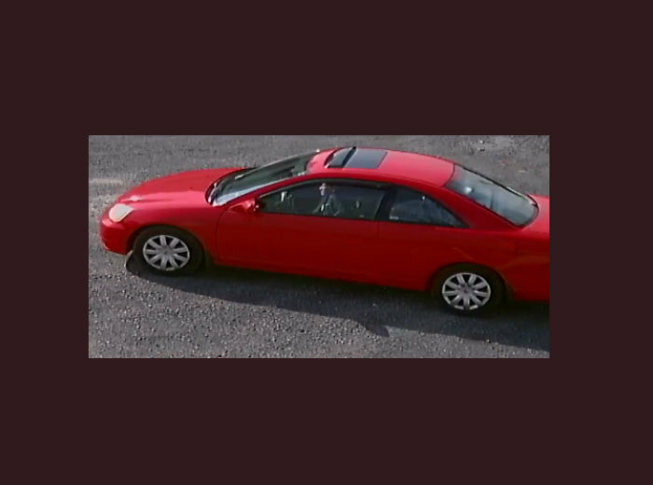 His vehicle — a 2001 red, two-door Honda Civic — was seen at a nearby shopping center on Burgess Road an hour later. In the early morning hours of Aug. 6, Sariol’s Honda Civic was reported “fully engulfed in flames” near mile marker 2 on I-66, roughly 50 miles northeast of Harrisonburg. The vehicle was recovered by Harrisonburg police and processed as evidence. Sariol was arrested in Lakawanna, Pennsylvania on Aug. 7, found driving a different vehicle in an apparent attempt to reach New York shortly after an Amber Alert was initiated for the two missing women. Sariol was in police custody on Friday morning, pending extradition to Harrisonburg. 12-year-old Angie is believed to be in “extreme danger.” Her grandmother, Elizabeth, has been listed in a nationwide system as a missing person, police said on Thursday. Sariol has a “known history of infatuation” with Elizabeth Rodriguez Rubio, according to police. Police described Angie Carolina Rodriguez Rubio as having long, curly brown hair and brown eyes. She is about 5-foot-1 and weighs around 112 pounds. She was last seen wearing a black blouse with flowers, white sandals and black legging-style pants. Elizabeth Rodriguez Rubio was described as having black hair and brown eyes. She is about 5-foot-4 and weighs around 140 pounds. She was last seen wearing a black skirt with a burgundy blouse. Police urged anyone with information about Angie Carolina Rodriguez Rubio or Elizabeth Rodriguez Rubio to contact the local Crime Solvers line at 540-574-5050, or text “HPD” plus their tip to 274637. WTOP’s John Domen, Teta Alim and Alejandro Alvarez contributed to this report. Editor’s note: This story has been updated to correct the spelling of Mary Hope Vass’ name.